When you’re turning 9 and you live with three exceptional older brothers, you have to find a way to stand out. 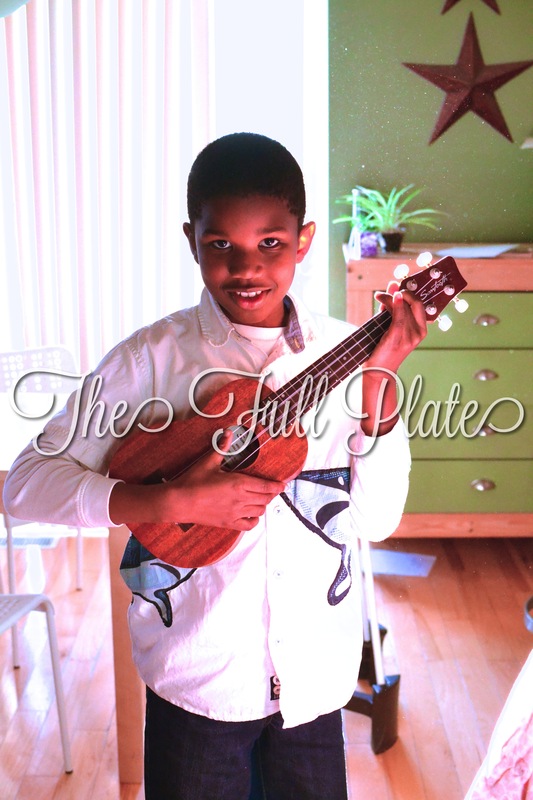 Music is a big deal in our house, so it made me laugh when Giganto asked for a Ukulele for his 9th birthday. He loves playing music and this was something none of the other boys ever had. I went right to the internet and ordered him one, because he never asks for much. Giganto, I know that sometimes you have a hard time finding this place in this size extra large family with so many brother that cast such large shadows. To your mom, there is no shadow, there is only your spotlight. I am so exceptionally proud of you. 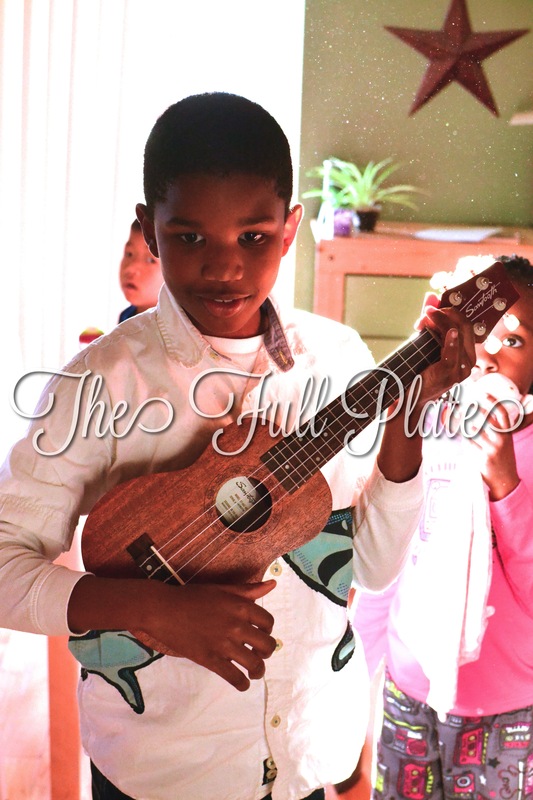 –FullPlateMom, who can’t believe he’s halfway to adult. Previous postFrom the Outside Looking In. Next postLove Is A Choice. I’ve been teaching myself the ukulele and I would highly recommend the Ukulele Teacher on youtube and ukutabs.com for finding the chords for any song you could possible want to play! Thank you so much! He will be THRILLED by this!! !